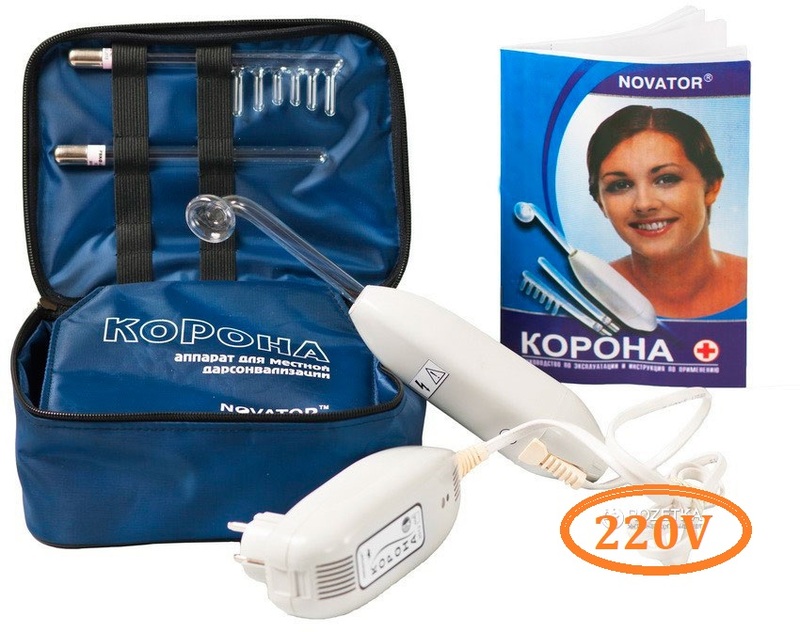 High frequency unit ( violet ray Korona ) with 3 argon electrode in set. 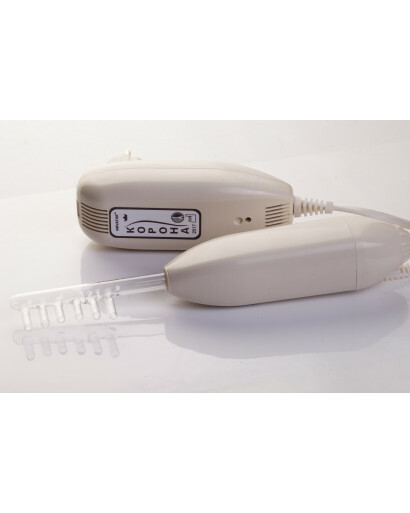 The Violet Ray High Frequency Device provides a pleasant, tingling sensation to the skin and scalp by it's ability to "Increase Oxygenation" in the form of Ozone (O3) into the Blood. Although primarily for various skin and scalp conditions, such as Acne, Wrinkles, Dandruff, Gray Hair and Baldness the Violet Ray is helpful for many other disorders (including some serious conditions). It appears to also work by Balancing and Energizing the Nervous System and moves the "Chi". 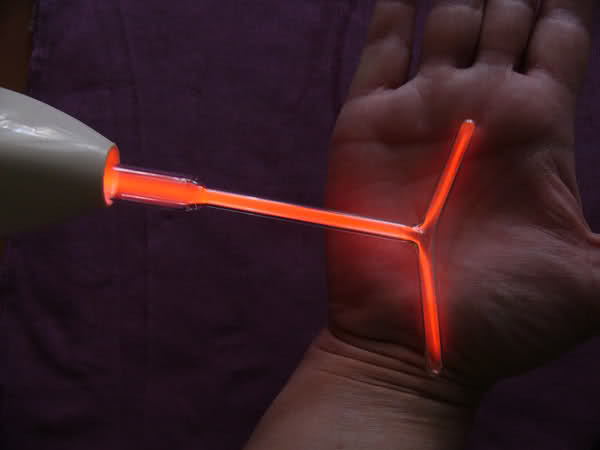 The "Violet Ray High frequency Device" is a miniature version of the "Body Enhancer" device. 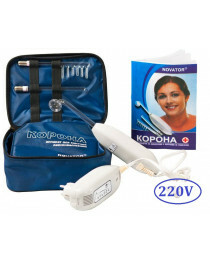 It is so much more affordable and you can take it with you anywhere for instant healing. This "Violet Ray" Tool is a Lymphatic drainage device that can detox heavy metals and chemicals from the body. 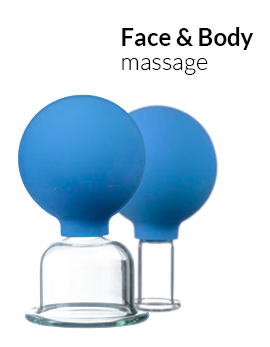 In addition it replaces any missing harmonics and magnetic field elements to the body energy field, Unsticks blood cells while improving circulation and introducing ozone to add oxygen to the blood. Can be used for localized areas. I offer you a well made portable device which is used for therapy as well as improvement in sports medicine, and in cosmetology. This device is known in Russia under the name D'Arsonval. In the USA its name is Violet Ray. 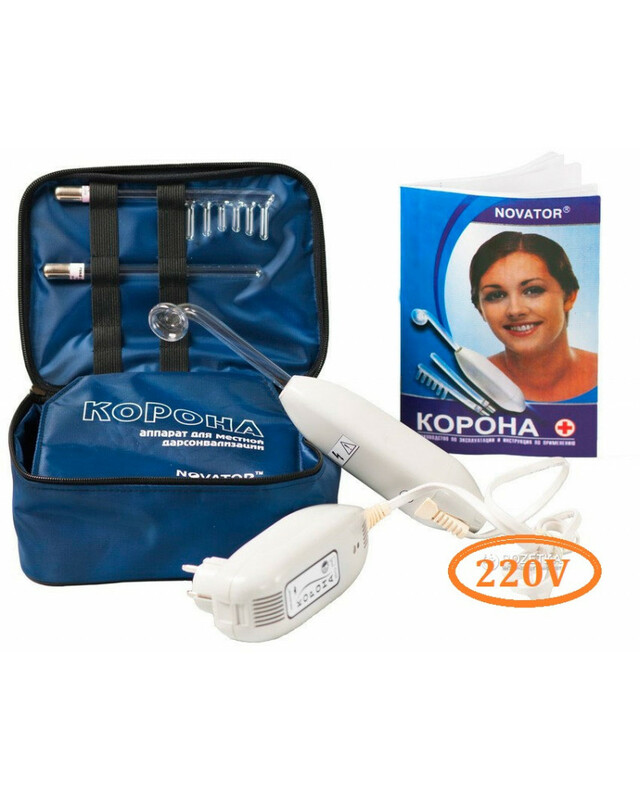 During the procedure, an impulse of high voltage alternating microcurrent effects the skin surface without hurting bio structures of tissues. 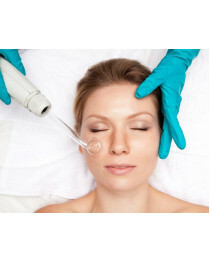 Procedures are carried out every day or every second day, in total 10 to 15 times. 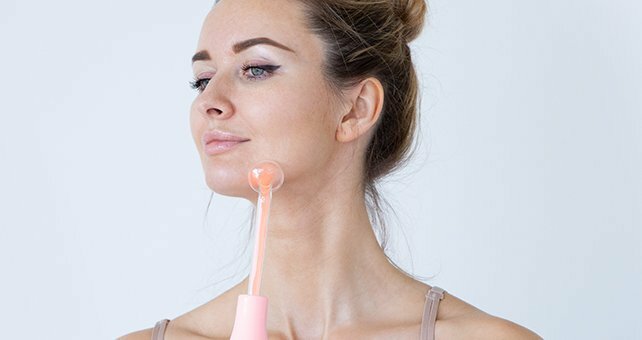 The procedure provides purification of skin, curing abscesses and injuries, and activates the self protecting features of the skin. Thanks to all the above-mentioned characteristics the procedure is successfully used for solving a lot of problems in both cosmetology and medical practice. Neurosis, problems with sleeping, osteohondrosis, etc. The effect of the D'Arsonval procedure is caused by activation of micro circulation, broadening the arteries and capillaries of skin and subcutaneous cellulose. 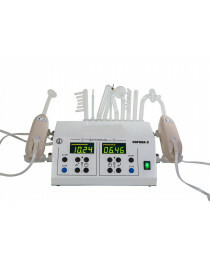 At the same time activity of the venous system improves and swollen tissues tend to decrease. The procedure provides removing of blueish spots which usually remains after blackheads. It is also used for correcting the function of oil glands. Due to the effect of D'Arsonval current anesthetic and anti itching effects are supplied. In addition it provides activation of biochemical exchanging processes in skin and subcutaneous oil cellulose and increases the nourishment of tissues supplying them with oxygen. The glass electrodes are filled with neon gas and have an orange color when the power is applied. 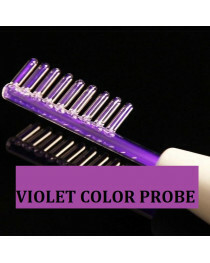 The therapeutic influence of violet and orange electrodes is very similar. Transformer with amplitude regulator on the bottom, connected to the Violet Ray wand by a cord. The root-men-square value of the current consumed by the apparatus on the mains does not exceed 1 A. The settling time of the operating mode from the moment of swithing-on does not exceed 30 s.
Energizing of the device is accompanied by light indication. 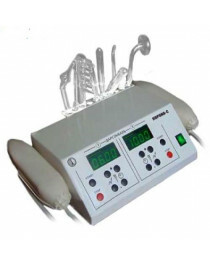 The device provides continuous operation during 8 hours, maximum, witha subsequent interval of 30 min, minimum, in the repetitive short-term mode: operating time 20 min, pause 10 min. 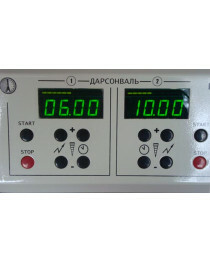 Mass of the device together with the electrode is 0,85 kg. In the USA, Japan, and UK an adapter will be needed. A NOTE for US customers: you will need to convert US voltage from 110 V AC to 220-240 V AC (you can choose an adaptor for example HERE). The instruction is in English language.